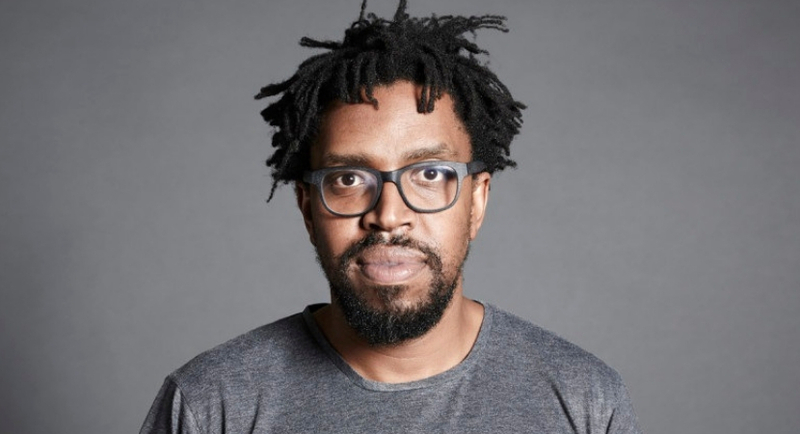 It’s a pleasure to welcome Kagiso Lediga, the director of a new South African film hit that everyone is talking about called Matwetwe. Kagiso, thanks for joining us. Thank you for having me, Gareth, and hello to your listeners. 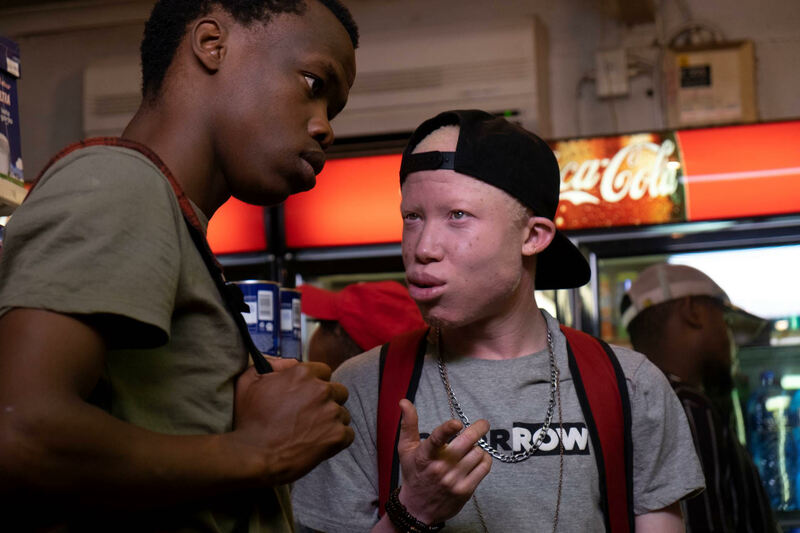 In a nutshell, can you tell us what your film, Matwetwe, is about because everybody is talking about it? Well, it’s a coming of age story. It happens over a single day on New Year’s Eve in a Pretoria township called Atteridgeville, and it follows these two guys, these two friends – the one guy is going to study Botany – he’s pretty much already a sort of budding horticulturist and he’s just basically grown in these three shacks a strain of marijuana/weed that is completely unbelievable – that nobody has ever experienced before and he calls it ‘Matwetwe’. That’s basically his key to a better life. He sells Matwetwe and he can get money for tuition – he’s out of there, you know. Obviously, then many things happen. Criminal elements, people or gangs know that there’s this great weed and if they get their hands on it, they could also change their lives, and it’s a whole, crazy story. Friendship is also tested and it’s their last day of their childhood, I guess. It’s the last day of the year – the last day of their childhood that could have been the last day of their friendship. It’s been a local hit, this film. In fact, it has raked in just over R2m in the first eight days on the box office here and it’s also been given more cinema space as well. So, why do you think its been such a hit? I think it’s a universal story that everybody can relate to, but it’s also the secret sauce was this kind of Pretoria township story that people hadn’t seen before. There’s always kind of like a generic township experience based in Soweto and these Johannesburg places, and maybe in Durban a little bit. But nobody had seen this black Pretoria experience and it’s got a specific nuance and the language is very specific. I think that’s what adds to the colour. The movie is also fun. It’s a great adventure. It’ very funny and a great soundtrack. I looked at the trailer for it. I think that local films have just got better and better over the years. They really are at a high standard. Do you think that this film is going to go onto the international circuit as well? Well, we hope so. The film has been doing its rounds at festivals. It started out at Fantastic Fest, it’s a big genre festival in America in Texas. Then it went to the prestigious Rotterdam Film Fest in Holland. It was in South Korea late last year so, it has definitely been seen around the world and, hopefully, we’ll get somebody who thinks it can connect to an audience out there, a distributor, and let’s see about that. Locally, it’s got a good sale from television, M-Net, and ShowMax, and we’re very happy that it is doing so well on the circuit, which is always a tough thing. I’ve made a lot of movies and you always go, ‘okay, we’ll be great if we breakeven – if we can just breakeven’ and this one is quite unbelievable that it’s got further than breakeven. That’s excellent because the whole movie market is changing as well, isn’t it, with Netflix, ShowMax, and all these other services? And renowned DJ Black Coffee is also the executive director on the film, right? Yes, Black Coffee. When the film was screening in Rotterdam, and the music is such a big part of it and a lot of people were asking, ‘where’s the music from?’ I hadn’t gotten all the rights as a production, we hadn’t gotten all the rights for the music, so we just had kind of permission to use the music for festivals and we were still finishing the film. Then people picked up on Black Coffee’s music and they said, hey, this is great, we love Black Coffee. I thought to myself, maybe instead of just asking him to get a good rate on the song, would it be possible maybe for him to invest in the movie and also become a platform for it, because he’s such a widely popular guy and well regarded, and a guy with great taste. So, I thought let me show him the movie. If he likes the movie then I’ll convince him. I’ll try to compel him to be a partner in it and he loved the movie and, yeah, he was ready to roll. A lot of people listening to this would also know you as a very well-known comedian and actor in SA, but, obviously, you’re getting more involved in directing films. Is this your path now? I’m a storyteller so, I started producing TV shows when I was 25 year’s old, the Pure Manate Show, which led to a big, comedy spring, when I started with David Kau, Riaad Moosa, and Joey Rasdien and all those guys. So, I’ve always been more… As much as I’ve been a comedian but I see myself as a storyteller and I’ve always wanted to direct. I just never had the confidence and then I kind of started with some TV shows, and then I jumped onto my first feature film, Catching Feelings, which came out a few months ago, and then now Matwetwe. Matwetwe, we actually shot 6-months after editing Catching Feelings, which is also crazy. That’s incredible because Catching Feelings was only on Netflix a few months back. What are your plans, going forward now, with Matwetwe? You’ve spoken about how well it’s doing locally. Is this a film that kind of comes to define one’s career seeing as it’s just so successful? The truth of the matter is I shot that movie in eight days. We did it, the turnaround from deciding to make the movie to the first day of shoot, was three weeks. Whereas, everything that I’ve done is always at least a 24-month turnaround. So, that it was an instinct to make a movie and making it instinctively with familiar partners and all of that. So, what it’s made for me, is be a lot more, easy with the medium, kind of not be so precious, and I think it was a big lesson so, going forward I’m ready to do many things. I’m about to embark on a huge Netflix series as the first South African or the first African Netflix Original and if I hadn’t done Matwetwe, I’d be pooping in my pants. Now, I’m kinda going, ‘you know what, we know how to do this and it doesn’t have to be the end of the world.’ These projects are always ‘the end of the world,’ but we’re not curing Aids, as I like to say. Can you tell us more about the series that you’re working on for Netflix as well? It seems like that’s becoming quite a popular medium? Yes, I think they’re coming into the country as a serious competitor in the marketplace and I think a lot more people are… We’re going to be seeing a lot of people making these Netflix shows from SA and around the Continent, yes. And the series that you’re working on for them, can you give us any tasters around it? Yes, it’s an African spy lady played by Pearl Thusi, called Queen Sono. It’s kinda like rooted in South African history quite a bit as well but it’s very edgy and current – very contemporary. It’s going to be a lot of fun. We’ve been writing for months and we’re getting great feedback from Netflix and we go into production mid-April and it will come out at the end of the year, December. I think it’s going to be very exciting. Awesome, Kagiso, thank you so much for taking the time to chat with us today. Thank you, Gareth. Have a good rest of the day and enjoy your weekend and everything.